Get in the game with these upcoming events around the state. 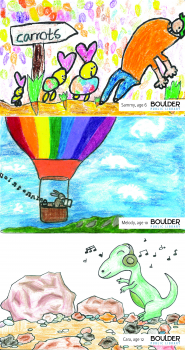 Boulder Public Library is holding an art contest for the design of three new library cards depicting the 2019 Summer of Discovery Program theme: Outer Space, Inner Space. Show your best out-of-this-world design or create a vision of your inner world. Three winners will be selected in April, with one winner in each age group (5 & under, 6-8 & 9-14 years old). For full contest guidelines, download the contest application. Drop off artwork and completed contest entry form at any Boulder Public Library location by March 31, 2019. 2018 Contest Winners. Image courtesy of Boulder Public Library. The Pueblo City-County Library District invites poets, grade 2 to adult to write a poem for the 22nd Annual Poetry Contest. It can be about any topic and written in any style. Winners will be chosen from each grade level. Entries may be dropped off at any library location or mailed to Rawlings Library, c/o Poetry Contest, 100 E. Abriendo Ave., 81004, by the April 5, 2019 deadline. Awards will be presented on May 15. Download the entry form for complete rules and prizes and express your inner creativity. 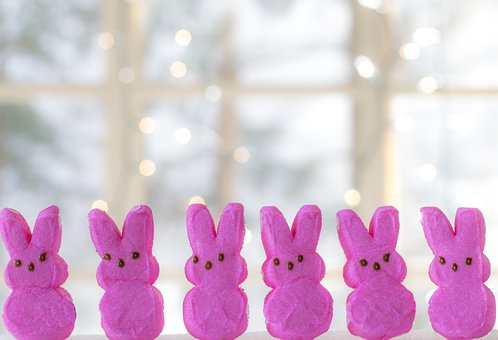 Join the fun of the Longmont Public Library’s annual diorama contest using marshmallow peeps to depict notable scenes from beloved literary works! Entries can be dropped off at the Library starting Thursday April 4. All entries must be received by 9pm Thursday April 11. For more information, Download the Entry Instructions and Registration Form. It’s free, fun, and great for the whole family! The Small, Rural School Achievement Program seeks to address the unique needs of rural school districts. Interests include improving basic programs, supporting effective instruction, supporting language instruction for English learners and immigrant students, strengthening student support and promoting academic enrichment, and creating 21st century community learning centers. The application deadline is April 26, 2019. Ever wish there was a whole town for the cars you find all over the house? 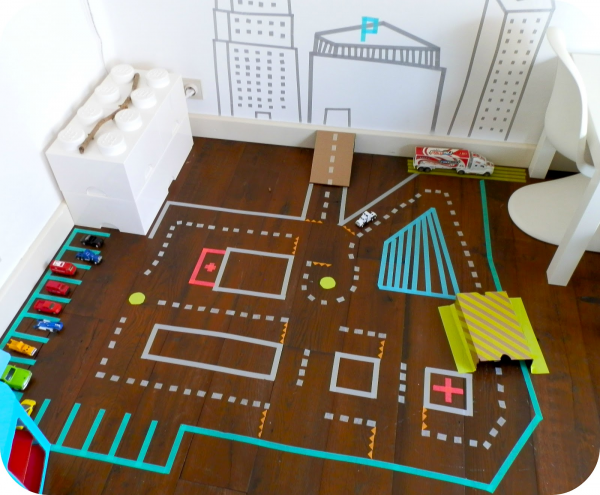 Join Nederland Community Library for March 30 from 4:00-7:00pm for Tape Town, a town the perfect size and full of fun surprises! Cars 3 will also be screened for a chance to wind down and relax.. Visit the event page to RSVP! ‘Oh, What a Beautiful (EVENING)!’ Git in your ‘Surry with the Fringe on Top’ and com on over to Oklahoma, where several farmers, cowboys and a traveling salesman compete for the romantic favors of various local ladies. Watch the 1955 classic movie and sing-a-long! All ages are invited to Parachute Public Library for Sing-a-Long with Okalahoma! On March 29 at 6:30 pm. Refreshments will be served, and costumes are encouraged. Let’s go fly a kite! Join Delta County Reads and check out a copy of MARY POPPINS. When you’re done, stop by the Hotchkiss Library to make a kite to take home. All supplies provided. Kite Maker Space takes place all month in March during library hours. The Wild & Wooly Spinners meet the last Saturday of every month, and this month they will be meeting at the Ignacio Community Library. Stop by on March 30 from 10:00 am – 2:00 pm to watch the spinners spin! Make beautiful memories this prom season. Bring your unwanted and clean formal wear or accessories to one of Jefferson County Public Library’s Prom Swap 2019 events and take another dream outfit home. For each dress tuxedo/suit, pair of shoes, or accessory you donate, you receive tickets to trade for a new-to-you item. 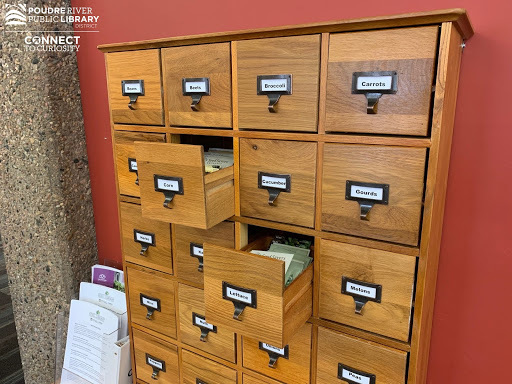 The Poudre River Public Library District’s Old Town Library Unveils New Seed Library: a community seed library that allows card-carrying library members to check out packets of vegetable, fruit and herb seeds. 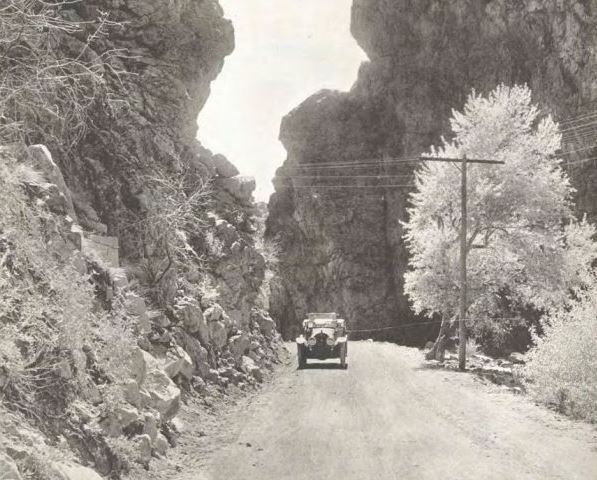 Image courtesy of Poudre River Public Library. In the latest installment of Museums Matter, Colorado Snowsports Museum’s director Jennifer Mason uses their 10th Mountain Division exhibit to illustrate how museums preserve our rich heritage, and maintain tangible links to the past. Don’t miss it. Prepare to spend some time on bobvila.com, where The Crested Butte Library is featured on their list of the 25 Most Beautiful Libraries in America. Though modest compared to some of the other entries, the Old Rock building, which houses the library, more than earns its place on the list. Next Curious about Library Supervision? Part I Registration is now open!